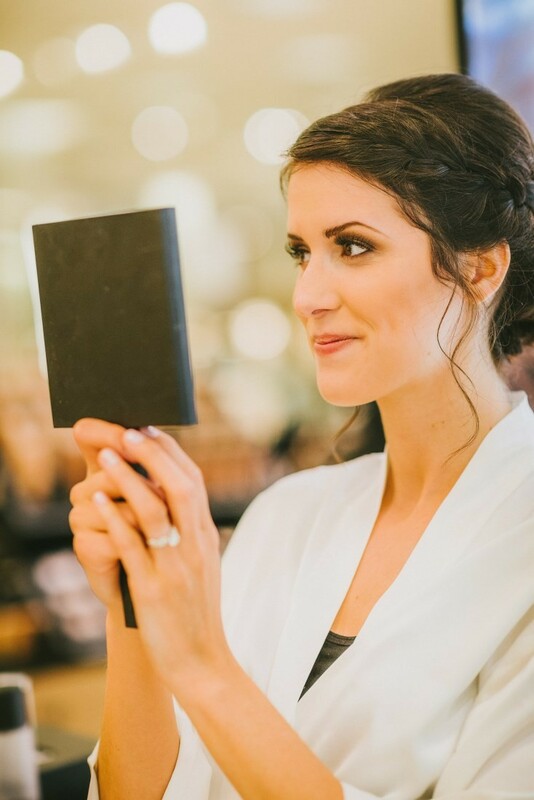 Our gorgeous bride Stephanie kept her makeup very neutral with soft pink lips so her natural beauty shone through. We love the braided updo she chose with the soft curls framing her face. Such a stunning bride she was!